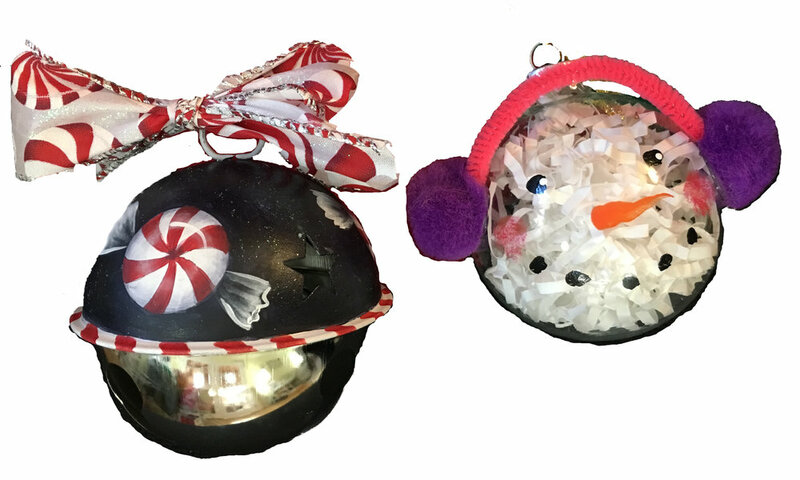 Learn how to paint 3D looking candies around this metal bell. The bonus ornament is more crafty but still a delight. They can be personalized to anyone's liking. Always a big seller at craft fairs!